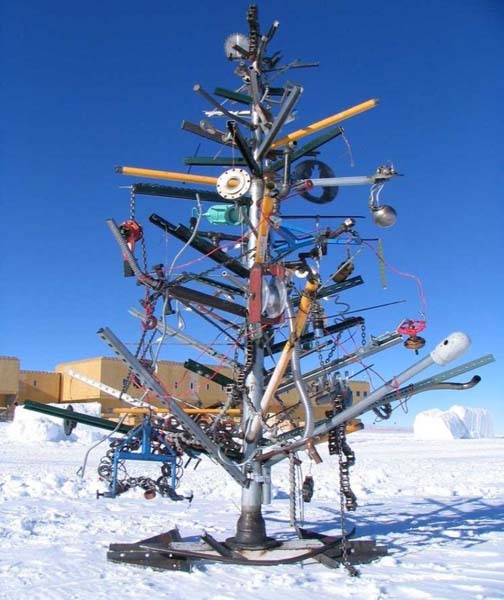 Unusual Christmas trees bring fun to Christmas decorating and help unleash your creativity, edxploring various materials, new design ideas or recycling items that clutter modern homes. 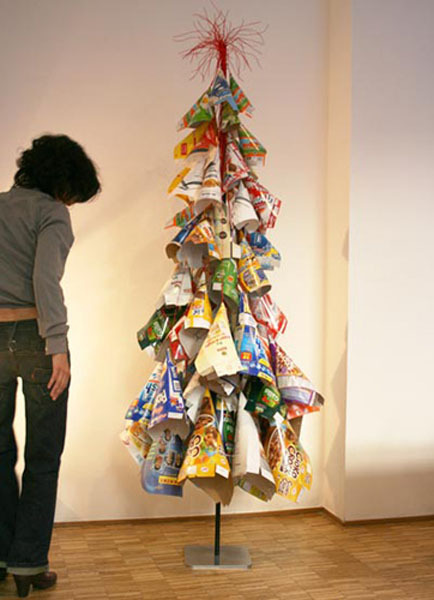 The attractive and colorful Christmas Tree from Elizabeth Vidal made of cereal boxes. Cereal boxes and packages for dry food or candies are excellent for creative Christmas decorating ideas. 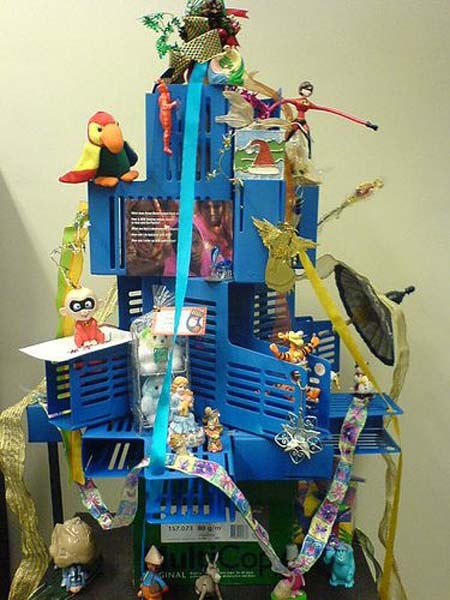 The alternative Christmas tree looks festive and bright, adding playful theme to Christmas decorating, saving money by using paper boxes before recycling them. To make a similar Christmas tree is simple and quick. The longest part is collecting paper boxes and dry food packages. 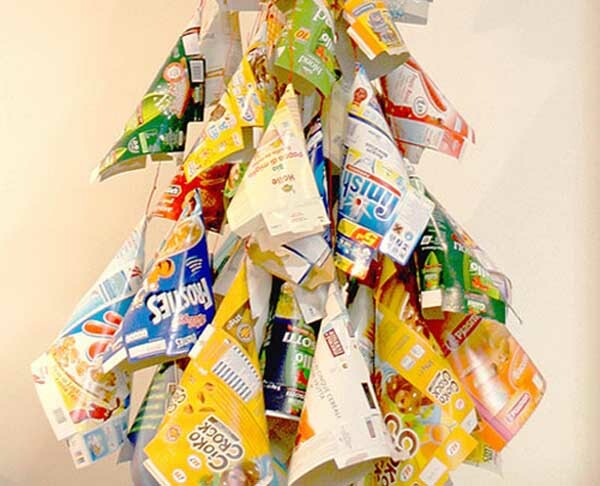 The alternative Christmas tree from Elizabeth Vidal is made of a garland with a cone-like rolled cereal boxes. Tis wonderful, colorful and unusual Christmas tree can be made of various or similar in size boxes, grouped by color or Christmas decorating theme. Do not throw away present boxes, and you can design eco friendly Christmas trees that make surprising and inexpensive Christmas gifts, demonstrating your creativity and strong support of green living and eco design ideas. Unusual and unique Christmas trees, made of paper boxes are great ideas for green holiday, that help save your money and time, while beautifully decorating your home for Christmas. Planing, designing and making unusual Christmas trees of various items that clutter homes are great Christmas crafts ideas for kids and adults that allow to spend more time with family and create inexpensive Christmas home decorating and eco friendly gifts for friends.